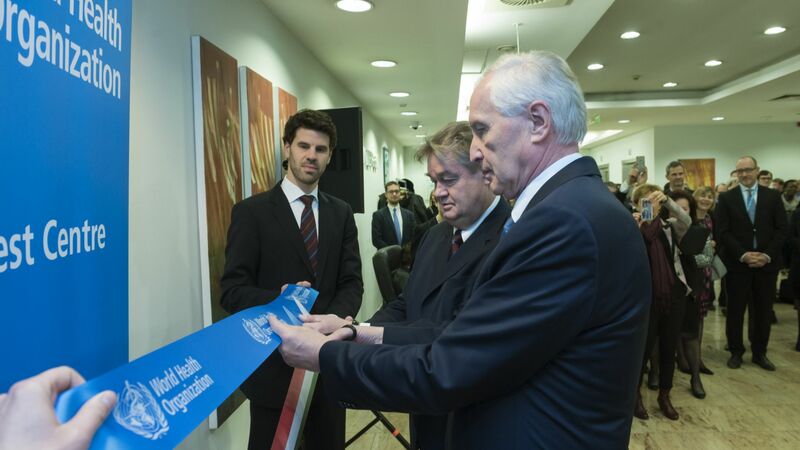 István Mikola, Minsiter of State for Security Policy and International Cooperation of the Ministry of Foreign Affairs and Trade, and Hans Troedsson, Deputy Director-General of the WHO, officially opened the Budapest Centre of the World Health Organization (WHO). The World Health Organization (WHO) is one of the organisations of the United Nations (UN) that works as an international coordinating authority for public health. Its most important responsibilities are the development and transfer of appropriate health technology, information and standards as well as cooperation with governments in the planning, management and evaluation of national health programmes. It is seated in the Swiss city of Geneva. Hans Troedsson, Assistant Director-General of the WHO, said that the whole project was a perfect proof of the efficiency of cooperation between the organisation and the Hungarian Government. He added that a WHO delegation visited Budapest just a year before. During the decision-making process, another six or seven locations around the world were taken into account, and finally they voted confidence for Budapest. The Deputy Director-General of the WHO said that the decision was due to the Government's commitment and a favourable offer for the establishment of the Centre here. István Mikola, Minister of State for Security Policy and International Cooperation of the Ministry of Foreign Affairs and Trade, added that Hungary would host the Regional Conference of the WHO in 2017. It is important for Hungary to continue to be a competitive target country for the centres of international organisations in Central Europe. The WHO is not the first UN organisation establishing itself in our country, since previously the United Nations High Commissioner for Refugees (UNHCR) and the United Nations child protection organisation, UNICEF, have opened centres in Budapest.